As a parent, you want to know your kids are using the internet safely. But it’s easier said than done trying to monitor their online time on your own. Parental control software and hardware can help you and your kids navigate the internet safely in your home. While there are a lot of options out there, we’ve chosen a few of our favorite parental monitoring software and devices. Data effective as of 12/10/2018. Offers subject to change. Qustodio is a cross-platform tool that can monitor Windows, Apple products, Android, and a few other common household devices with internet access. Qustodio’s multifunctional approach makes it easy to protect and monitor every device in your home from the same platform. The service includes all the most important features, like website filtering and device and internet time limits, and gives you a detailed 30-day activity log. The free plan covers only a single device, which might have been passable in the 1990s, but nowadays you have smartphones, laptops, and tablets, all of which can access the internet. So we definitely recommend Qustodio’s paid plans. It has three plans that scale in price based on your monitoring plans, with the cheapest starting at $54.95/year with coverage over five devices. But it’s also not without its disadvantages. Savvy teenagers would have no trouble disabling Norton’s web extension, so it’s probably better suited for families with younger kids. 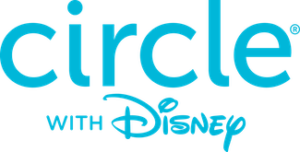 Circle with Disney is a small and ironically box-shaped device that pairs with your router to allow for parental controls on your wireless home network. You’ll need to download the Circle app, from which you can find any devices connected to your wireless network and customize your parental monitoring. You can also do a lot to curate your kids’ internet time. It’s easy to set bedtimes, schedule off time, and customize their access to different websites and apps. You can even reward them with extra internet time. It’s easy to set bedtimes, schedule off time, and customize their access to different websites and apps. We recommend subscribing to Circle Go. For $9.95/month you’ll have the ability to monitor not just your wireless network at home but also the devices themselves. That means your kids can’t simply bypass your restrictions by switching to cellular data. Luma bundles its hardware in packs to give you a much larger range for monitoring larger homes. Beyond that, it’s a pretty basic, albeit functional, Wi-Fi monitoring system. Without device-specific monitoring, it wouldn’t be hard for your kids to bypass your parental controls by using cellular data. But if you’re just looking to create a mesh network with your home Wi-Fi, Luma is a solid and relatively simple option. In an age where internet access is ubiquitous and kids are given the freedom to browse at a younger age, installing a proper parental control system for your in-home wireless network is a great step to make the internet safer at home.